There have been several studies over the years that established a link between aspartame consumption and cancer risk. But, these studies were frequently criticized as being too small, only capturing a short period of time, and otherwise not living up to strict scientific standards. A new study, however, addresses these concerns and substantiates what the previous ones already said: that aspartame in diet soda can increase your risk of certain types of cancer, exponentially. It seems the aspartame-cancer link has been exposed again. Scientists looked at data from the Nurses’ Health Study and the Health Professionals Follow-Up Study for a period of 22 years, including over 77,000 female study subjects and nearly 48,000 males. In all, the giant study looked at “2,278,396 person-years of data”, the most of all previous aspartame studies. Study participants were asked about their diets every two years. In prior studies, questions about aspartame were only asked once, opening them up to error and criticism. What this study found, however, is frightening. One can of diet soda each day can increase leukemia risk in men and women by 42 percent, increase multiple myeloma risk in men by 102 percent, and increase the risk of non-Hodgkin lymphoma by 31 percent in men. The results are frightening, but not surprising. Though previous research was criticized for not being scientifically sound—the findings were similar. Another study focusing on the aspartame-cancer link found that of 48 rats experimented on, up to 67% of all female rats developed tumors roughly the size of golf balls or larger. The male population also suffered, with 21% of the males developing similar cancerous growths. What’s possibly even more concerning is that aspartame is created using genetically modified bacteria. Revealing how aspartame is made, an article from The Independent reports that both a Monsanto source and a Monsanto spokesperson admits that aspartame creation process did in fact involve genetically modified bacteria. 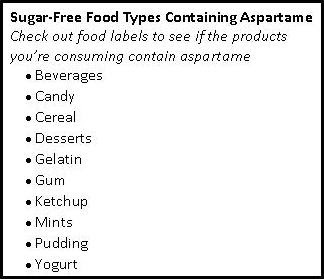 Although there are other sources of aspartame, diet soda remains the most popular. If you were ever wondering, ‘is diet soda bad for you‘, the answer is a sound ‘yes’. In the United States, we consume an estimated 5,250 tons of aspartame each year, of which 86% is in the form of diet sodas. Recognizing the dangers of diet soda, many people limit themselves to just one can each day. But this latest research shows that one can is enough to do significant damage. And, switching back to a sugared soda isn’t any better—researchers found men drinking one or more regular sodas saw a 66% increase in non-Hodgkin lymphoma. What’s the solution? Quit drinking soda. If you’re in it for the caffeine, try green tea and it’s many benefits or even coffee. If you prefer cold and refreshing, have iced tea. Changing your habits takes motivation and dedication (follow-thru). This research showing the aspartame-cancer link yet again should provide the motivation, but it’s up to you to take steps towards reclaiming your health.